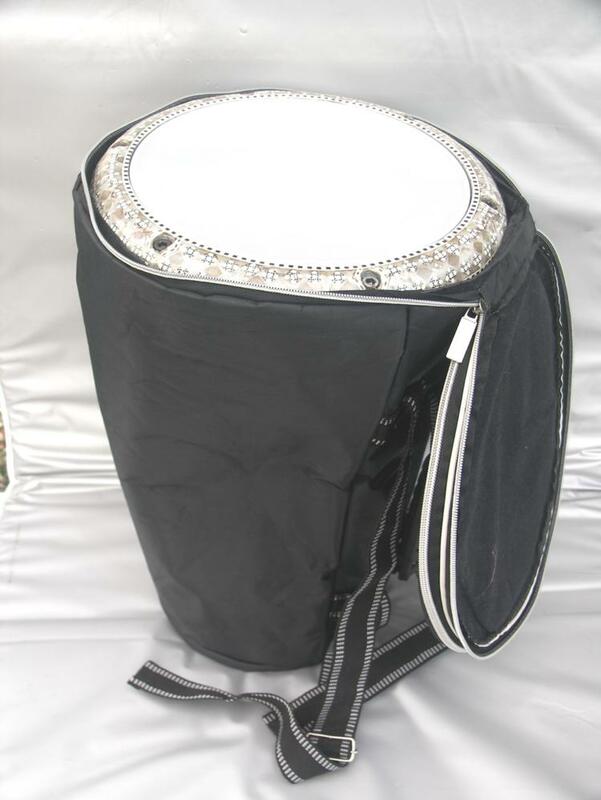 Many manufacturers of Goblet Shaped drums do not provide good quality bags / cases with the drum when sold, they are often very flimsy with weak stitching and often do not last long. 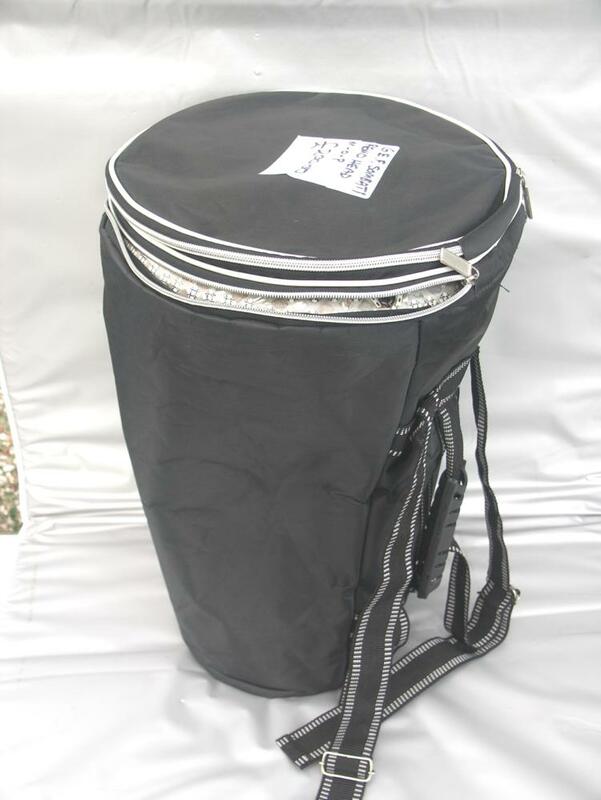 If you want to protect your drum and be able to transport it around more easily, then investing in a better quality bag is advised. Postage is extra to the price of the bag and will vary accordingly - I will calculate a fair and accurate postage quote for you. You may arrange to visit me to try out any bag ( I live in Harrogate, North Yorkshire ) - use the Contact Form to discuss this with me. As I usually only have one example of each bag at any one time, I prefer to create a personalised invoice for each order which will reflect the P+P charges for each order. So there is no option to "Buy It Now"
Medium Egyptian Darabuka Nylon Case. 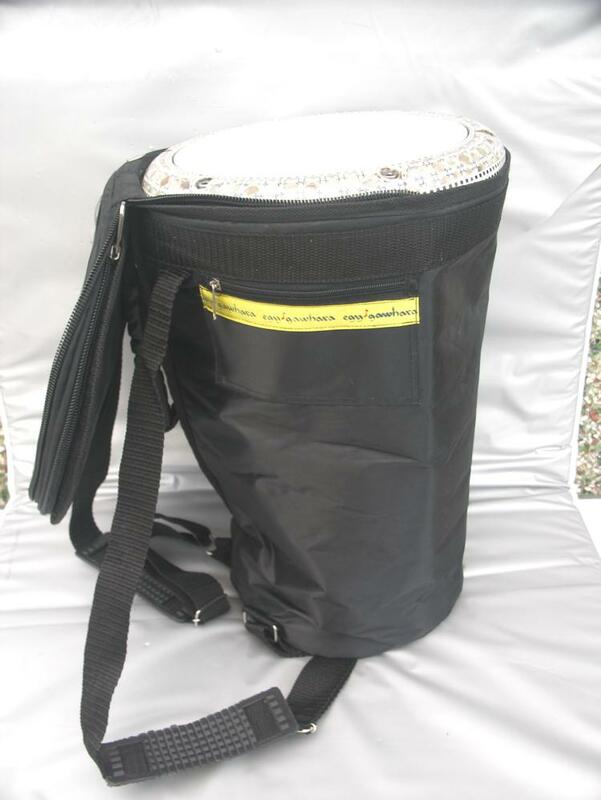 Nylon exterior, interior has a soft cloth lining. 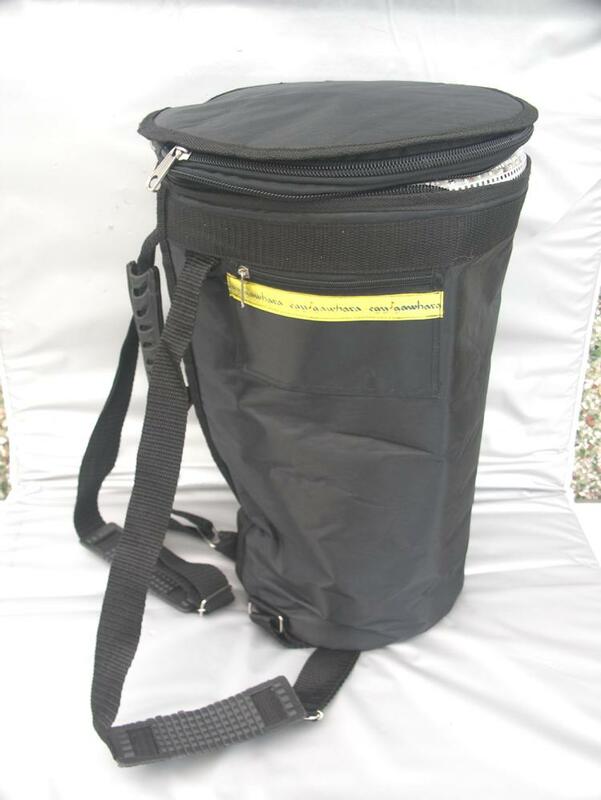 Double shoulder strap. Zippered compartment for spare head ( not included ) Carrying hand grip. Egy Gawhara Darabuka Nylon Case. Double shoulder strap. Carrying grip. External pocket.